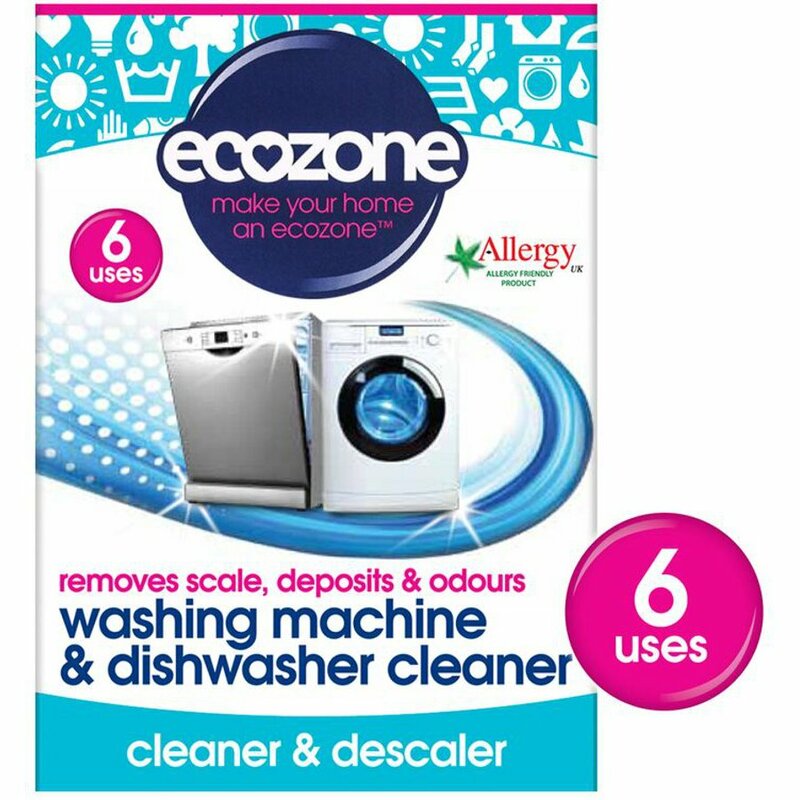 Especially designed to clean and freshen your washing machine or dishwasher, these eco tablets remove limescale and detergent deposits that have built up over time and leaves a lovely lemon scent. A great household essential, this cleaner will also help remove odours, cleaning right inside the appliance and helping prolong the life of your machine. The tablets are wrapped in water soluble sachets, meaning no mess and hassle free. Designed for use in conjunction with ecoballs. Sodium Bicarbonate, Sodium Percarbonate, Sodium Carbonate, Citric Acid, Sodium Sulfate, Cellulose Gum, Talc, PEG 8, Perfume. 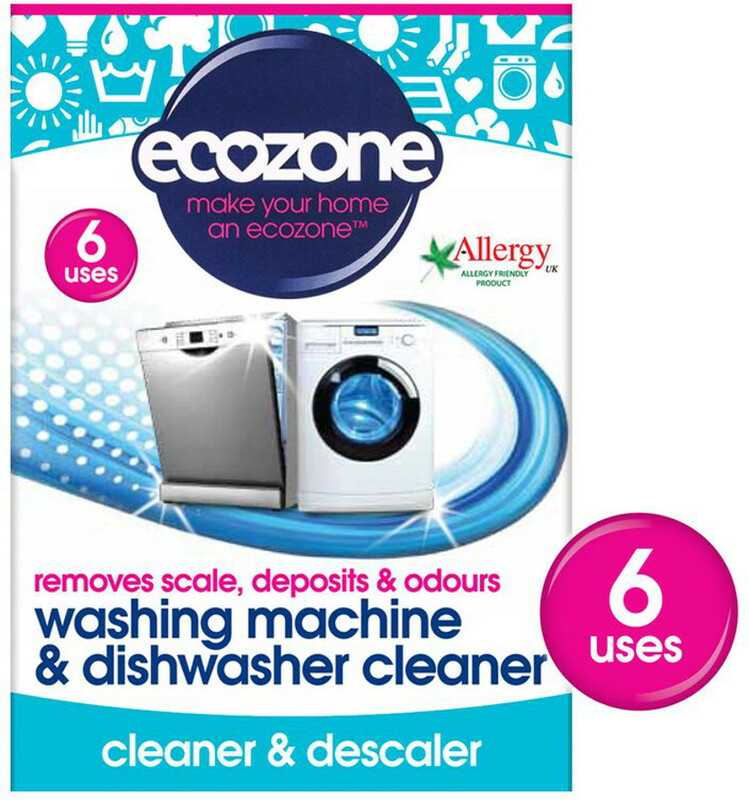 The Ecozone Washing Machine & Dishwasher Cleaner - Pack of 6 product ethics are indicated below. To learn more about these product ethics and to see related products, follow the links below. This is a recent purchase so have only used it once but was very pleased with it and would buy it again. Q: Is this product safe to drain into a septic tank? A: Yes this product is safe to use with septic tanks. I hope this helps.